Big-hearted, 8 year-old Mark Leonard lives on the brink of two worlds: one steeped in the hardship of post-World War II America, where his father is consumed by financial woes; the other where he’s buoyed by his exceptionally vivid imagination. In his imagination, Mark is an heroic soldier, a surgeon and a daredevil striving to live up to the ideals of the 1950s. When his family uproots from Queens, New York to start afresh in Massachusetts, Mark finds refuge from loneliness in an unlikely friendship with an eccentric, wealthy, elderly neighbor who has shut out the world following a debilitating accident. 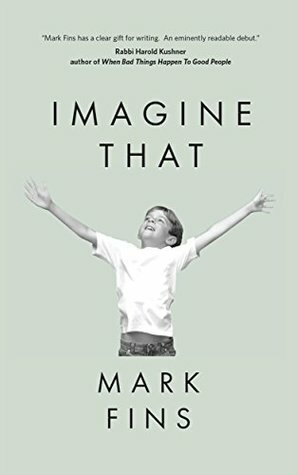 Their mutual gift for for conjuring up imaginary worlds to cope with reality -- which for Mark includes the confusing teachings of his Jewish faith -- leads them to push the boundaries between these two realms, exploring the fine line between love, imagination and the existence of God. Mark Fins is a lifelong entrepreneur, the owner of two corporations and a frequent speaker on entrepreneurship. He is a supporter and provider of remedial reading scholarships for at-risk children and is active in philanthropy, particularly in local food banks. A tournament chess player, Fins has served on the board of the United States Chess Trust and helps introduce children to the game. He lives in a suburb of Boston. Not really sure what to say about this book. In parts it felt very preachy and the tone felt very off. The story it self was fairly interesting.